portable screen for your projector with just a few seconds of setup time. Very well worth getting and don't hesitate to BUY. 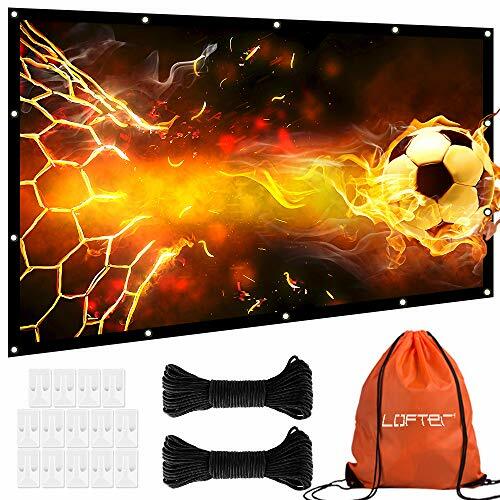 Viewing Size: 106" x 63"
【BEST 100% LIFETIME SERVICE】Our Projector Screen comes with solid quality and satisfied after-sale service, 30-day Money Back Guarantee and 1 Year Warranty, you can purchase it now with confidence just by clicking "By now with 1-Click"or"Add to Cart"